What could have been a crazy week with difficult ties against Napoli and meeting fierce rivals Manchester United in the Champions League final group stage and the Premier League respectively; Liverpool went against all odds with a great show of character as they nicked both the games with impressive wins. 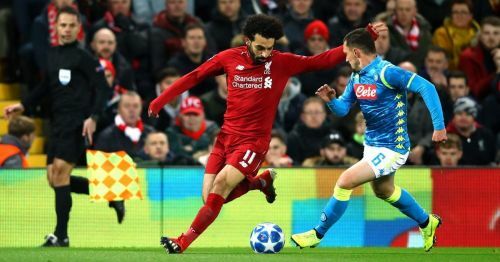 Needing a victory against the Italian giants to progress to the knockout stages, Klopp had to serve the best line-up he possibly could against an adamant Napoli side. Liverpool sealed a narrow win through a Mo Salah goal in the early minutes of the game. It was enough to put the 5 times European Champions in the knockout stages of the tournament, and they will now face an even more competitive team, a team that has held a handsome record in both, Europe and Bundesliga, FC Bayern Munich. One can expect a feast of goals in the first and second leg of this draw, with a revamped Liverpool side that's looking promising enough to knock down any team that comes their way. Now, let's turn our attention to the blockbuster showdown from last weekend's match, where two of the most decorated teams in the Premier League went head-to-head. Manchester United who are currently in pool of muck with a string of poor performances and failure to deliver results with such a star-studded team, and it just got bad to worse as they had to square off with a rock solid Liverpool. Liverpool were clear favourites going into this feisty tie with their arch-rivals, that too at Anfield. Liverpool's front three of Salah, Mane and Firmino proved to be deadly as always, causing problems for a lacklustre Manchester United side. Mane's brilliantly taken goal was cancelled out by a tap in by Lingard after an error of judgement by Liverpool's number one, Allison. Lingard's equaliser revived the slightest of hopes of a comeback but it was not too long, when Klopp made a substitution that changed the entire complexion of the game. He took out the hardworking Keita, and brought in the energised, Shaqiri, who scored a brace to bag a big win for the Reds against United after almost 5 years. 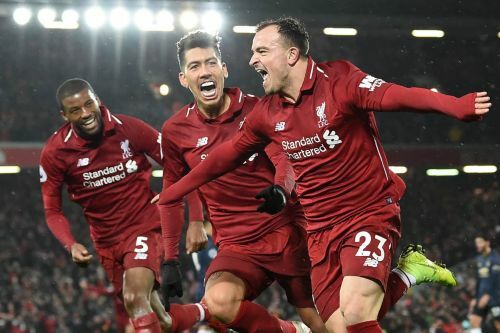 Klopp brought in his A-game, Shaqiri excitingly waited at the sidelines to come and make an impact, and man, that was some impact by the Swiss genius. Not sure if Mata and Pogba would have made big differences if they started, but one thing was evident, Fabinho bossed central midfield! Another lad that stole the show, Robertson. A great week capped by Liverpool going into a busy boxing day fixtures! YNWA.